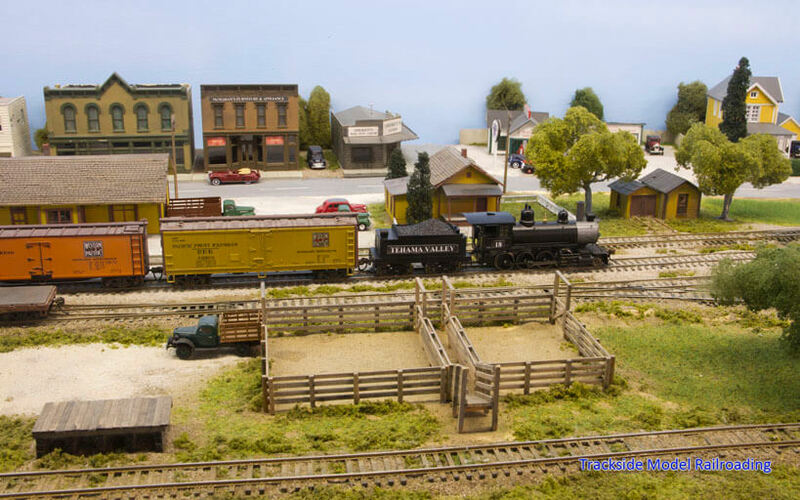 Rick Uhlenkott's N Scale Leisure Prairie Railroad is a large freelanced layout reminiscent of the Camas Prairie. The Leisure Prairie operates in north Idaho in 1980. The railroad hauls lumber, paper products, passengers, and general freight. The Union Pacific and Northern Pacific have trackage rights on parts of the LP line, so you will see a variety of power on the layout. 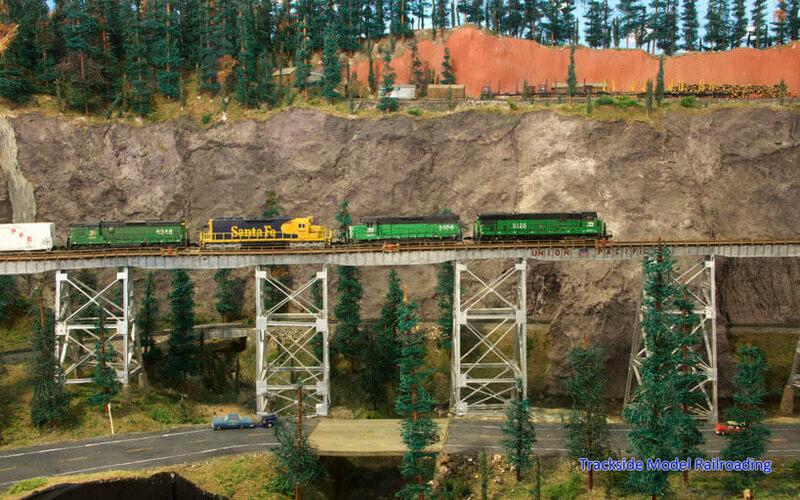 Rick has written an extensive history for the Leisure Prairie and has scratch-built versions of many of the Camas Prairie’s trestles on the layout. Scott and Diane Buckley's Tehama Valley Railroad is a freelanced railroad inspired by short lines in the Sacramento Valley of California. The HO scale layout is set in 1945-1949 and interchanges with the Southern Pacific. It includes the towns of Hamilton City, Colusa Junction, Walnut Grove, and Butte City. The TVRR has not yet made the transition to diesel power and runs only steam locomotives. 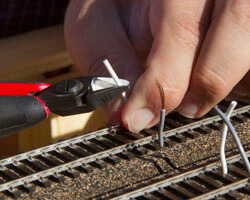 On the diorama project, we show you how to wire the track this month. To see the project from the beginning, start with the July 2015 issue. 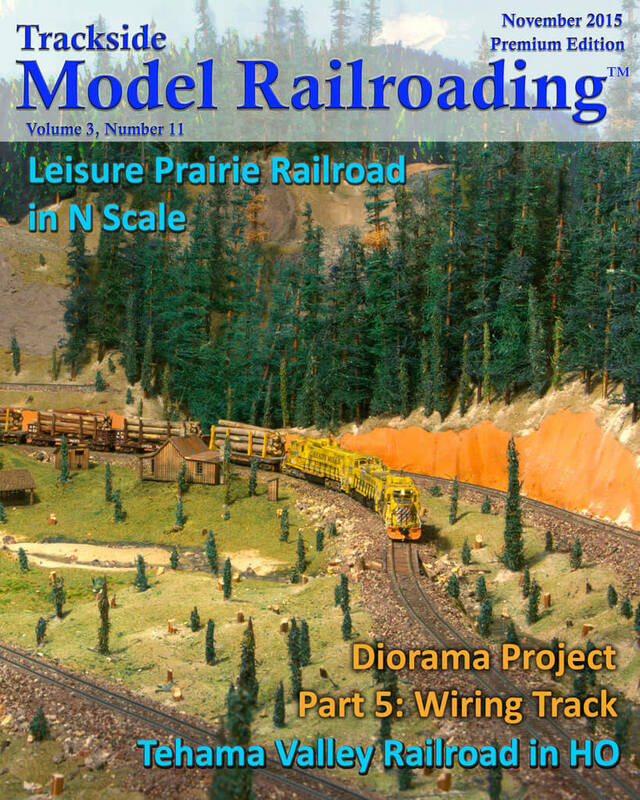 This project is a good one for new modelers without prior wiring experience.